Bacerra has apparently retained well-known political lawyer Mark Rosen and they have sued to have Reyna removed from the ballot on the grounds that he apparently registered to vote four times in recent weeks, all at different addresses. 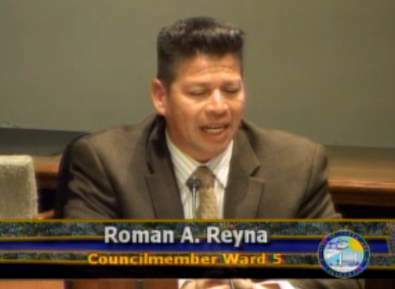 It seems that Reyna kept picking addresses that are not in Ward 4. The city charter says you have to reside in the ward 30 days prior to receiving nomination papers. 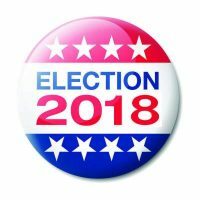 Prior to receiving the papers for Ward 4, Reyna changed his voter registration on June 27, 2018 to the address of 2519 W. Harvard. This is in Ward 6. Once Reyna realized that he was not in the right ward, he re- registered to vote at 1522 Hemlock Way on July 16, 2018. This was not within the 30 day window to establish residency. On August 2, Reyna was issued nomination papers for City Council Ward 4 at the Harvard address. On August 3rd, he filed form 410 for his committee using the Harvard address. He also filed a Candidate Intention Statement using the same address. To complicate the timeline, when Reyna asked for nominating papers on August 2nd, he used an address of 1218 Bishop. Reyna was never registered at that location. He presented a rental agreement for a room on the property. But it doesn’t say that Reyna lived there. By asking for papers on August 2nd, Reyna would have to have residency in Ward 4 by July 3rd. Therefore based upon his voter registration, the form 410, the form 501 and Reyna’s prior office in another ward, Reyna was not a resident of Ward 4 30 days prior to the election. Reyna may argue that in Section 406 of the Charter that the City council is the final entity to judge of the election and qualifications of its members, but I am guessing a judge will not look kindly on that. We shall see what happens, but it sure looks like Reyna has some real explaining to do. Remember he was a former City Council Member who should know the rules. The court hearing is in September. Meanwhile I hear that one of Bacerra’s longtime ex-girlfriends kept a lot of nasty text messages he sent her. It seems that their relationship was not a good one. She is supposedly waiting to see what happens with the lawsuit before she releases the text messages to the media. 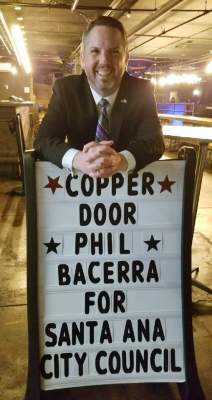 It is also a shame that current Councilman Jose Solorio started all of the current carpetbagging when he moved into Santa Ana’s Ward 3 after the last election. The kicker is that his spouse and kids allegedly stayed behind in Ward 1. One has to wonder how much time Solorio actually spends in Ward 3? I also hear that Ward 6 candidate Nelida Mendoza just filed a lawsuit against one of her opponents, Mirna Velasquez, who ran in a past election for Ward 2. 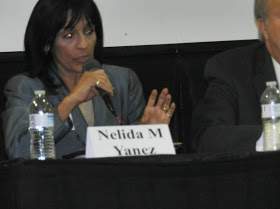 I am not sure as to the grounds for the lawsuit but most likely Mendoza is challenging Velasquez’ voter registration. Good luck with that as Velasquez has lived in Ward 6 since 2017. Mendoza may be challenging Velasquez’s ballot designation. She filed as a Teacher/Educator/Instructor. Apparently she writes textbooks for Dentistry. Such a challenge would be tough for Mendoza to win. Interestingly Mendoza is using her maiden name on the ballot but when she filed to run she used Yanez, her married name. What a mess!